Elevation is about 1,800 feet. Because of its distance from the center of the Phoenix metropolitan area (22 air miles) and its proximity to the New River Mountains to the north, the summer temperatures are usually 5 to 10 degrees cooler than recorded at Sky Harbor Airport, and the night sky is dark. The small town of Cave Creek, Arizona is just six miles to the north. Tatum Ranch is within the City of Phoenix and the Cave Creek Unified School District, however, the mailing addresses are in the Cave Creek Postal system. The Ranch is five miles north of the 101 Freeway, and 35 miles north of Sky Harbor Airport in Phoenix. The Carefree Highway, the quickest approach to Interstate 17, is 3 miles north. Tatum Ranch was created and developed beginning in 1988. Homes in 30 neighborhoods were built by a wide range of well known builders. All lots in Tatum Ranch were built out as of December 2001. Three neighborhoods are gated. 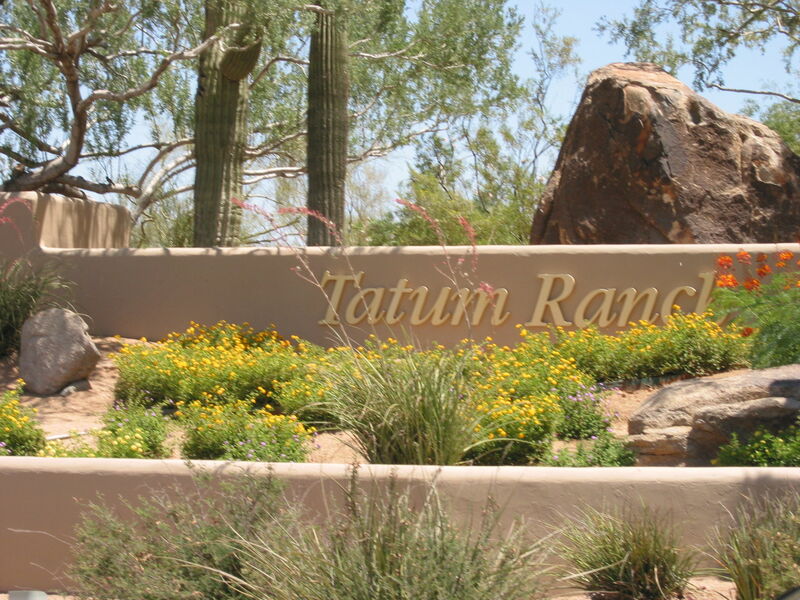 Included in Tatum Ranch are Desert Willow Elementary School and five commercial areas – Tuscany Village, Safeway Plaza, Shops at Tatum Ranch, Fry's Plaza, and Shops at Dynamite Creek. Within those commercial areas are Safeway, Fry's Food & Drug, Walgreens, ACE Hardware, medical and dental clinics, numerous restaurants, banks, automotive repair, storage units, and other retail and service establishments. A Phoenix Fire Station is one mile south of the Ranch and another 2 miles north. The Phoenix Police Department's Black Mountain Precinct is two miles north of the Ranch. The nearest hospital is Mayo Clinic Hospital, 7 miles south.